Liberal visitation is encouraged by the court, taking into account the number of children, their ages, and the geographic proximity of the parties. The visitation schedule, to the extend possible, should encourage periods of visitation of significant duration and minimize frequent shifting of the children back and forth between their parents. The parties are encouraged to agree upon a schedule of visitation. If they cannot agree, the court will normally order visitation as set forth in the schedule attached to this Rule unless the particular circumstances indicate that such visitation would not be in the best interests of the children. In split custody situations, this Rule shall not apply. When split custody is involved, visitation shall be as ordered by the court, consistent with the philosophy of this Rule and provide, to the extent possible, that siblings shall be together during periods of visitation. 1) Flexibility and cooperation by the parents in handling all aspects of visitation is in the best interests of the children. The parties shall make reasonable efforts to accommodate each other’s needs, as well as the needs of the children, in implementing the ordered schedule of visitation. The parties may, from time to time, mutually agree to visitation that varies from the ordered schedule of visitation to accommodate their needs and the needs of the children. (b) The nonresidential parent shall have one midweek visitation per week. If the parties are unable to agree, then this midweek visitation shall be every Wednesday evening from 4:30 P.M. (or as soon thereafter as the nonresidential parent is available) until 8:00 P.M. In the odd-numbered years, the Mother shall have the children on the odd-numbered holidays; and the Father shall have visitation on the even-numbered holidays In the even-numbered years, the Father shall have the odd-numbered holidays; and the Mother shall have the even-numbered holidays. Any holiday falling on Monday or Friday shall be deemed as including the immediately preceding or immediately subsequent weekend, commencing at 10:00 a.m. (on Fridays) and ending at 8:00 P.M. on Mondays. Thanksgiving shall always be deemed as commencing on the Wednesday before Thanksgiving (after school) until the subsequent Sunday at 6:00 P.M.
All other holiday visitation shall be from 10:00 a.m. until 8:00 P.M. on the day of the holiday. (d) The non residential parent shall have the children for one-half of the Christmas break. “Christmas break” shall be deemed as commencing the day after the last day of school at 10:00 a.m. until the day before school reconvenes at 6:00 p.m. (including weekends) but not including December 24 and December 25. In the event there is an odd number of days during Christmas break, the nonresidential parent shall have the children for the extra day. The nonresidential parent’s choice of dates during Christmas break has priority over the residential parent’s Christmas break schedule if the nonresidential parent notifies the residential parent of the dates not later than October 1st. of the applicable year. Absent timely notification by the nonresidential parent, the residential parent’s Christmas break schedule shall have priority. For purposes of this paragraph a “day” is all or any portion of one calendar day. (e) In even-numbered years, the nonresidential parent shall have the children from 9:00 p.m. on December 24 until 6:00 p.m. on December 25. In odd-numbered years, the nonresidential parent shall have the children from 10:00 a.m. until 9:00 p.m. on December 24 and from 6:00 p.m. to 11:00 p.m. on December 25. The children shall be with the residential parent on December 24 and December 25 at all other times not otherwise specified on these dates. (f) On Mother’s Day and Father’s Day, no matter whose turn for visitation, the children will be with the appropriate parent. Visitation shall begin at 10:00 A.M. and continue until 6:00 P.M.
(i) The non-residential parent’s choice of the duration and dates of summer visitation has priority over the residential parent’s summer vacation schedule if the nonresidential parent notifies the residential parent of the duration and dates of summer visitation not later than April 1 of the applicable year. Absent timely notification by the nonresidential parent, the residential parent’s vacation schedule shall have priority. (ii) Each parent shall be entitled to take the children on vacation away from that parent’s residence for a period of up to fourteen (14) consecutive days upon advanced written notice to the other parent, accompanied by written agenda indicating the vacation destination, phone numbers where he or she can be reached, times of arrival and departure and method of travel. A complete itinerary with contact telephone numbers must be given to the other parent no later than ten (10) days prior to departure. (iii) During the extended summer visitation (except the fourteen (14) day away-from-home vacations) children should continue to spend alternate weekends with each parent on the same schedule as the rest of the year. In addition, the residential parent shall enjoy companionship time with the children on the same midweek visitation schedule granted to the nonresidential parent during the balance of the year. (iv) Child support payable by the nonresidential parent shall abate by fifty (50%) percent during summer visitation of one week (7 consecutive days) or longer. The visitations of the residential parent during the nonresidential parent’s summer visitation do not interrupt the nonresidential parent’s consecutive visitation days for purposes of calculating this abatement. The nonresidential parent shall apply to the Wayne County Child Support Enforcement Agency for abatement of child support within sixty days of the ending date of the extended visitation for which abatement is requested. Child support abatement does not apply to any visitation other than extended summer visitation. (v) “School summer recess” is defined as beginning the day after the last day the children attend school and ending the day before school reconvenes. (h) The child shall celebrate his/her birthday in the home of the residential parent unless it falls on a visitation day. The other parent can make up for the birthday with a separate birthday party, if desired. (j) The continued participation in extracurricular activities (school related or otherwise) shall continue uninterrupted regardless of this visitation schedule. It shall be the responsibility of the parent with whom the children are with at the time of the activity to provide physical and reasonable economic costs of transportation to these activities. Each parent shall provide the other parent with notice of all extra-curricular activities (school related or otherwise) in which the children participate. Schedules of extracurricular activities (handwritten by the parent if no formal schedule is provided by the activity) and the name of the activity leader (including address and telephone number if reasonably available) shall also be provided to the other parent. Extracurricular activities of the children shall not be scheduled by the residential parent so as to unreasonably interfere with visitation. (k) Absent agreement otherwise, the nonresidential parent shall pick up the children at the beginning of each visitation and the residential parent shall pick up the children at the end of each visitation for return to their residence. (l) If a nonresidential parent is unable to exercise visitation, 24 hours’ notice must be provided to the residential parent, absent exigent circumstances. A nonresidential parent more than thirty (30) minutes late for visitation forfeits that visitation. The court may consider frequently missed visitation, with or without notice, as grounds for modification of the visitation schedule and/or contempt. A residential parent may cancel scheduled visitation due to a child’s illness and should give 24-hours’ notice, if possible. Any visitation canceled due to illness shall be made up as soon as is practicable. (m) Visitation is a time for the children to be and do things with the parent with whom they do not live. During visitation, the children should not be left with babysitters, except for short durations or to facilitate work schedules. (n) Open and free communication by telephone and otherwise shall be permitted between the children and the parent with whom they are not then residing. If long distance telephone charges are involved, calls should be generally limited to not more than 15 minutes. 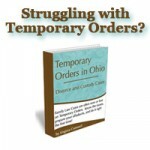 (o) Upon either parent learning or determining, whichever occurs first, that he/she will be moving, he/she shall immediately notify the other parent except in those circumstances wherein notice is not required by Ohio Revised Code 3109.051(G) and provide the other parent with the moving date, new residence address and telephone number, and such other pertinent information that is necessary to effectuate a smooth transition for the children. (3) When the Oldest Child Is less than Eighteen Months. The Basic Visitation Schedule shall not apply when the oldest child of the parents is less than eighteen months of age. When the oldest child of the parents is less than eighteen months of age the nonresidential parent shall have two (2) weekly visits with the child(ren). If the parents cannot agree, these visits shall be every Wednesday from 5:30 p.m. to 8:30 p.m. and every Sunday from 12:00 p.m. to 6:00 p.m. The general rules of visitation set forth in subparagraphs (i) through (n) of the Basic Visitation Schedule shall apply. When the oldest child of the parents has attained the age of eighteen months, the visitation schedule shall be pursuant to paragraph (4) of this rule. (4) When the Oldest Child is Eighteen Months to Three Years. When the oldest child of the parents is age eighteen months to three years, the basic visitation shall not apply. When the oldest child of the parents is age eighteen months to three years, the nonresidential parent shall have two (2) weekly visits, with one (1) being an overnight visit with the child(ren). If the parents cannot agree, these visits shall be every Wednesday from 5:30 p.m. to 8:30 p.m. and every Saturday from 12:00 noon to Sunday at 6:00 p.m. When the oldest child of the parents has attained the age of three years, visitation shall be pursuant to the basic visitation schedule as to all children of the parents. (a) Five (5) consecutive weeks for the nonresidential parent, commencing the first Sunday of the summer school vacation. The residential parent shall be permitted to have the children, overnight, one (1) weekend from Saturday at 9:00 a.m. until Sunday at 6:00 p.m. during the five (5) weeks of visitation. This weekend of visitation for the residential parent shall be exercised in the geographic area of the nonresidential parent’s residence, unless the parents otherwise agree. The parents shall agree upon the designated weekend with priority given to the nonresidential parent’s vacation plans. Child support payable by the nonresidential parent shall abate 50% during the five (5) weeks of visitation. (b) Each year at Christmas, the nonresidential parent shall have the children not less than seven (7) consecutive days over the Christmas school vacation. In odd-numbered years, the nonresidential parent shall have the children on Christmas Day in addition to the seven (7) consecutive days provided for herein. (c) In even-numbered years, the nonresidential parent shall have the children from the Wednesday preceding Thanksgiving (after school) until the Sunday subsequent to Thanksgiving at 8:00 p.m.
(d) The nonresidential parent shall have the children every spring school break from the last day of school (after school) until the day before school reconvenes at 8:00 p.m.
(e) If travel time, by car, is less than three (3) hours one way, the nonresidential parent shall have the children from Friday at 8:00 p.m. until Sunday at 8:00 p.m. the last weekend of each month during the school year. If said weekend is preceded on Friday by a holiday or followed on Monday by a holiday, said weekend shall be deemed as including the holiday and shall commence at 10:00 a.m. (on Fridays) and end at 8:30 p.m. (on Mondays). (f) Open and free communication by telephone and otherwise shall be permitted between the children and the parent with whom they are not then residing. Long distance telephone calls should be generally limited to not more than 15 minutes. To the extent possible, the parties should arrange to place or receive said calls in a manner that will result in each party bearing approximately equal telephone charges. (g) Responsibility for transportation costs shall be included in the court’s order. If the parents cannot agree on costs of transportation, costs shall be ordered by the court. The court may consider the costs of transportation to effectuate visitation as a factor in deviating from child support calculations. (h) When a child or children of parents residing more than 100 miles from each other has not yet attained the age of five (5) years, visitation shall be as ordered by the court, consistent with the philosophy of visitation set forth by this Rule. (i) When a child or children of parents residing more than 100 miles apart from each other has attained the age of fourteen (14) years, the visitation schedule shall be as set forth in this Rule unless the court otherwise orders. (j) Upon either parent learning or determining, whichever first occurs, that he/she will be moving, he/she shall immediately notify the other parent except in those circumstances wherein notice is not required by Ohio Revised Code 3109.051(G) and provide the other parent with the moving date, new residence address and telephone number, and such other pertinent information that is necessary to effectuate a smooth transition for the children. How old does a child have to be in order to say she no longer wants to see her dad based on the schedule 11 visitation? But will see him when she wants to? Is child support still reduced by 50% if we have child for the 5 weeks in summer? If so. How is that returned? Is the non-resident parent responsible for picking up and bringing the children home for his visitation time? If the non-residential parent cancels a visitation because he will be out of town, does the residential parent have to agree to a make-up visit? Can these Standards be used in Montgomery County Ohio as well?